Seventy Seven gentleman participated in our weekly Senior Men’s Field Day morning, this week playing a “Dog Fight” Scramble. 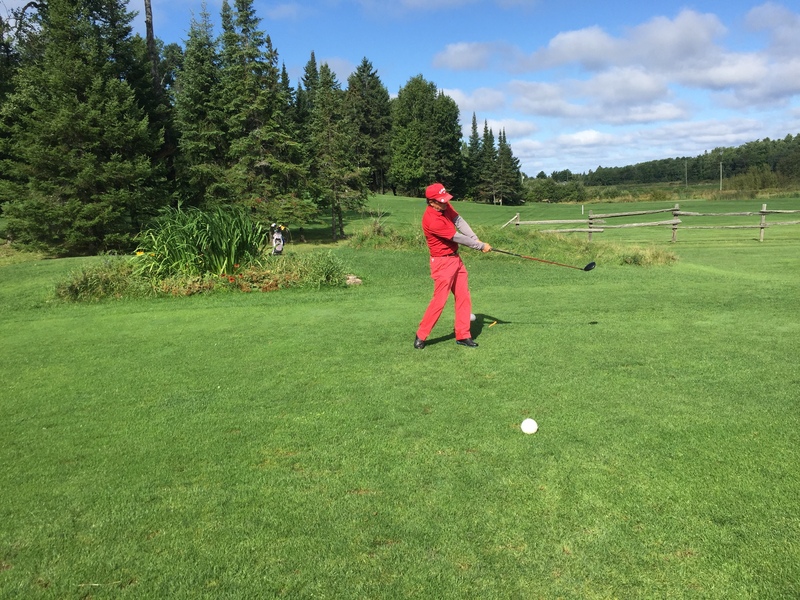 Dave Bondett puts a big swing on his drive off the first tee during the Senior Men’s Dog Fight Scramble on Thursday, August 30th. Senior Men’s Day is every Thursday with an 8 AM Shotgun Start (moving to 8:30 AM effective Thursday, September 13th) and is open to the public. Simply call the Pro-Shop at (705) 752-5225 or online to have your name added to the draw.